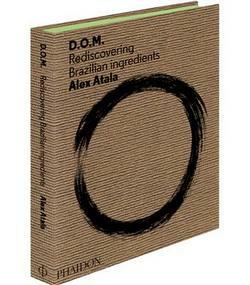 Get your tickets now for this awesome event with Brazilian chef Alex Atala of Sao Paolo’s D.O.M. restaurant at ~CAMINO~ in Oakland on Monday October 21st at 6pm. The dinner is a party to celebrate the release of his new cookbook, D.O.M. : Rediscovering Brazilian Ingredients, which will also be available for purchase from Omnivore Books at the event. The evening begins at 6pm with a book signing and caipirinha reception, along with snacks. Dinner begins around 7pm, and is a traditional, multicourse Brazilian chicken and rice feast called a galinhada, all cooked in the big Camino fireplace by chef Russ Moore. Tickets are $85, including caipirinhas and wine (but not tax and tip). 3917 Grand Ave. at Sunnyslope, Oakland, 510-547-5035. On Sunday September 15th, chefs from Chop Bar, Tribune Tavern, Lungomare, and Brotzeit Lokal will come together at ~LINDEN STREET BREWERY~ for a Whole Pig Roast Cookoff from 4pm-8pm. Tickets are $20 at the door, and include not only a plate of pork, but also side dishes like potato salad, greens, and corn bread. At the end, you’ll get to vote on your favorite porky preparation too. There will be a jump house for kids, as well as a pizza truck for those not into pork. 95 Linden St. at 3rd St., Oakland, 510-251-8898.